This day marked the 4th anniversary of the Great East Japan Earthquake that devastated areas in and around the Tohoku region. We grieve deeply for all those who lost their lives and offer our heartfelt sympathies to those who are still affected by the aftermath. 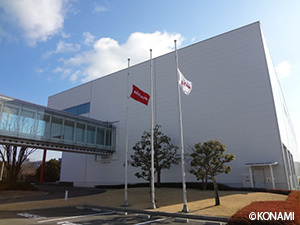 As a means to express our sympathy for the victims, Konami Group flew flags at half-staff throughout the day and observed a minute of silence at 2:46PM; the time of the earthquake. Please refer to the following links for information on initiatives relating to the Great East Japan Earthquake. 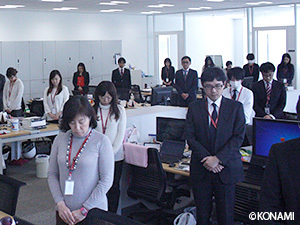 Athletes affected by the Great East Japan Earthquake have been selected to receive support from the foundation as part of the "KOZUKI Support Sports Athletes Program".